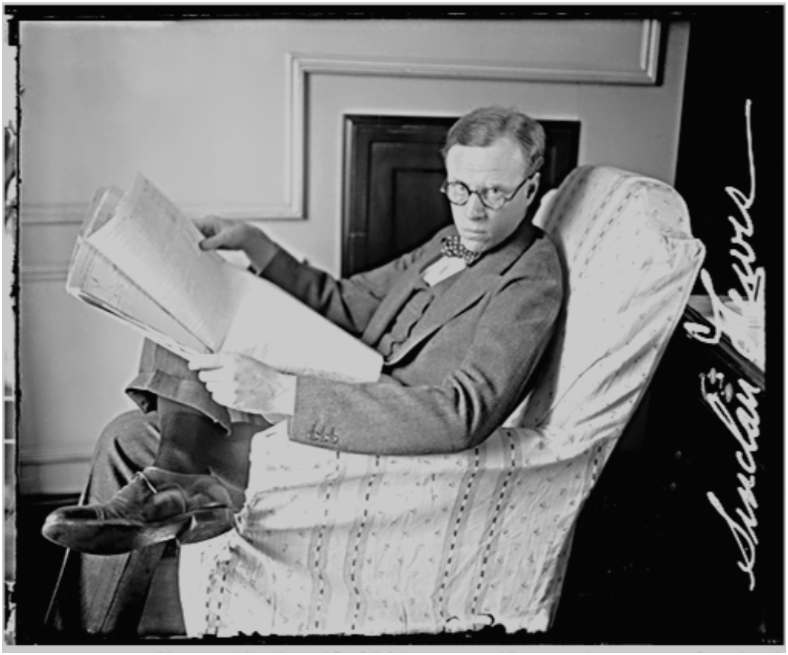 SINCLAIR LEWIS, the first American to win the Nobel Prize for Literature, was born in Sauk Centre, Minnesota, in 1885. Although he was proud of his Midwestern roots, he traveled widely and was interested in many different aspects of American society, from business and medicine to religion and small town life. His concern with issues involving women, race, and the powerless in society make his work still vital and pertinent today. Sinclair Lewis was nominated for the Pulitzer Prize for Main Street and Babbitt, and won the award for Arrowsmith (although he turned it down). He was a member of the National Institute of Arts and Letters and the American Academy of Arts and Letters. He died in Rome in 1951. His cremated remains are buried in Sauk Centre, Minnesota.